As we count the days before Mobile World Congress 2018 (we will be there to cover the latest happenings), we expect the big brands to unveil a plethora of devices. We already have a rough idea of what ASUS has in store, and we expect Samsung to get a big chunk of the spotlight with the Galaxy S9 and S9+. This time, let’s talk about Nokia. 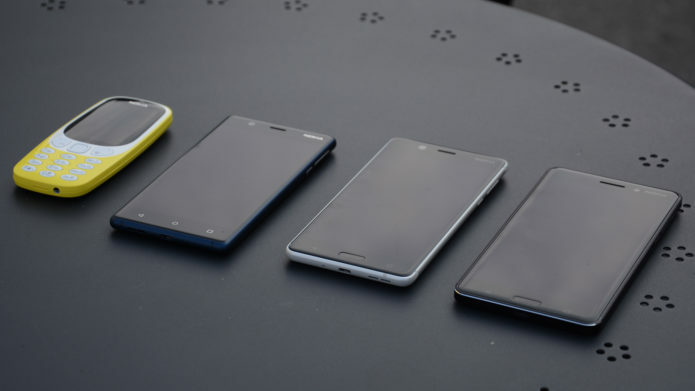 After the brand has made its return last year thanks to HMD Global, Nokia has been enjoying a fair share of success with models like the Nokia 3310 Classic and the Nokia 8. HMD Global was serious in saying that 2018 will be a big year for Nokia, and we really, really hope that they stay true to their claims. An update from the Nokia 6 (2017), the 2018 version gets a few upgrades such as a Snapdragon 630 processor, OZO audio, and bothie mode (a feature from the Nokia 8). What makes the 2018 version interesting is its pricing: Assuming that the global version has the same pricing as the China version, the Nokia 6 (2018) will have a very competitive price that can rival similarly-priced and similarly-specced handsets from Huawei and Xiaomi. The Nokia 7 Plus is more than an upgrade from the China-only Nokia 7: Aside from a beefier Snapdragon 660 processor, 18:9 display, and dual Zeiss rear cameras, the Nokia 7 Plus will be Nokia’s first offering under the Android One program. This means that the Nokia 7 Plus will have an unadulterated version of Android Oreo, and is guaranteed to have at least two major updates. On the other side of the spectrum, Nokia is slated to launch the Nokia 9, which is the brand’s first phone to have a curved display. While it will have the same Snapdragon 835 processor as with the Nokia 8, the Nokia 9 gets a few upgrades with its 5.5-inch OLED curved display, IP68 rating, 6GB RAM, and quad-camera setup. According to previous GeekBench benchmarks, the Nokia 9 is a viable competitor against the OnePlus 5T. A few days ago, there were reports that a Nokia 4 is currently in the works. While there are vague details about this phone, reports say that this will sport a Snapdragon 450 processor, which indicates that it will be an entry mid-range model from Nokia.